This is a Guest Post. The author, Rajarshi Datta, is a Principal with Acquisory and spearheads, the Asset Management vertical. Venture Capital financing has seen a sea change over the past few years. Venture funding initially started with the aim of supporting talented entrepreneurs and assisting them in strengthening their growing business and providing them with the much needed financing which otherwise was not available to them. Venture Capital bridges the gap where traditional sources of funds actively cannot participate in funding new ventures. In India it was initially started by the Financial Institutions and Government agencies, viz., SIDBI. In other parts of the world, it was being done more in electronic, medical, data processing and computer related industry and hence was more known as technology finance. Unlike the overseas counterparts where the investors were the private sector one who not only provided funds but also guidance and mentoring to the entrepreneurs, the India Venture Capitalists were large financial institutions which had been set up to finance only. Their intervention was limited to the financial aspect. Over a period, the country was losing out to the western world where most of the successful start – ups were being set up and run by Indians. To counter this and also to instil some confidence within the businesses in India that it was serious about assisting start – ups, the government began changing policies slowly and steadily towards venture capital financing by allowing private venture capital. India‘s later success story in the area of information technology showed that there was a tremendous potential for growth of knowledge based industries. This potential was not only confined to information technology but also relevant in several areas such as biotechnology, pharmaceuticals and drugs, agriculture, food processing, telecommunications, services, etc. 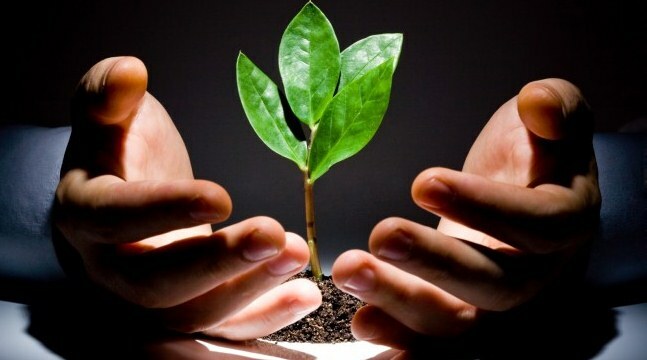 Given the inherent strength by way of its skilled and cost competitive manpower, technology, research and entrepreneurship, with proper environment and policy support, India could achieve rapid economic growth and competitive global strength in a sustainable manner if it allowed venture capital industry in India to fill the gap between the capital requirements of Manufacture and Service based start – up enterprises and funding available from traditional institutional lenders such as banks. Venture Capital bridges the gap where traditional sources of funds actively cannot participate in funding new ventures. Venture Capital brought in smart advice, hand-on management support and other skills that helped the entrepreneurial vision to be converted to marketable products. It was these inputs that made Indian open its doors to private venture capital but under regulated norms so as to protect the business environment and India entrepreneurs. Over the last decade Venture Capital financing has grown phenomenally to the extent that as per a report of Perqin, by August 2015, over 500 deals had been funded in the financial year 2015-16 with an investment of over USD 6bn. It was this phenomenal investment that made the Government of India also announce its own INR 10,000 Cr start up fund in 2016.
are ready to invest in risk prone businesses which disrupted certain markets but then brought about growth and competition which helped the common mass in benefitting. Build a base for quality IPOs in the future which would help the money market to grow. Assist the companies in raising further funds and also financially aiding them at times of stress. Venture Capital is thus no more only a financing agency but also a tool and a mentoring platform for the startup to grow and seek guidance from. Venture capital’s importance rises from the fact that it is patient and risk capital without which nascent ideas would not be nurtured. Rajarshi is a Principal with Acquisory and spearheads the Asset Management vertical. An economist by training, he has more than 14 years of working experience in strategic consultancy, valuations, transaction advisory, fund based investments and asset management in real estate, infrastructure and logistics sectors.